Thanks to careless breeding and countless health issues, many lovers of the English Bulldog feared for their future. Luckily, the Victorian Bulldog came into the picture. Though rarer, these dogs are the healthier cousin of the English Bulldog. Because of their lack of problems but similar look, many adore them. Find out what makes this breed, also called the Mollett Victorian Bulldog, so unique below! How Big will the Victorian Bulldog Get? How Long Does a Victorian Bulldog Live? What Health Problems Will Victorian Bulldog Run Into? How Much are Victorian Bulldogs? Is the Victorian Bulldog Right for You? Thanks to a man named Ken Mollet and recreation breeding, the Victorian Bulldog came to be. Ken took up the challenge to save the English Bulldog in 1985. Ken wanted to create a version that had a more athletic build, longer muzzles and legs, and smaller heads. Doing so would make breathing easier and eliminate many other health concerns. He used photos and artwork of older English Bulldogs to guide him along in the process. He bred many bulldog types such as English Bulldogs, Bull Terriers, Bullmastiffs, and Staffordshire Bull Terriers to get the look he desired. As well, all the dogs he used were registered with the Kennel Club of Great Britain. This assured the puppies he produced would be in good shape. Thanks to his work, we now have a breed that is recognized by the American Canine Association Inc. and the Dog Registry of America, Inc. 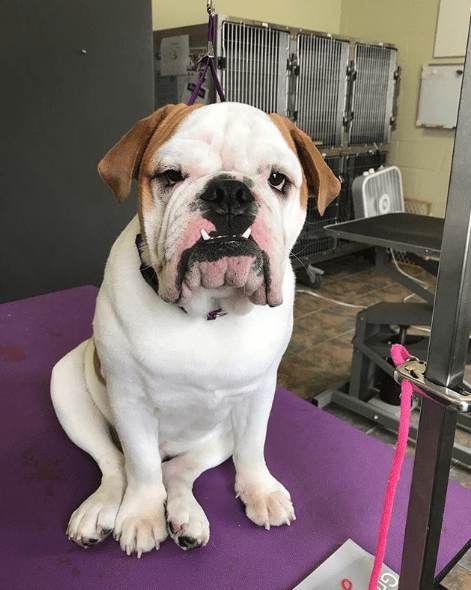 While they are not recognized by the American Kennel Club (AKC), Ken’s family continues on with his efforts to create happy and healthy Victorian Bulldogs. Check out the characteristics of both dogs to see what makes them similar or unique. Face / Muzzle Broad muzzle, more of a snout. Flat face and short/nonexistent muzzle. Nostrils Wide Smaller and pushed in, makes it harder to breathe. Ears Rose AND button ears Small and thin, folding back like a rose. Teeth Large Pointed, smaller, and with an underbite. Coat Colors Solid white, red, brindle, or fawn. Brindle, piebald, solid red, fawn, or white. Want to see the differences for yourself? Check out an English Bulldog and a Victorian Bulldog playing together! Males will grow to about 17 – 19 inches (43 – 48 cm) tall. Females can get up to 16 – 19 inches (41 – 48 cm) tall. Males weigh up to 70 – 75 pounds (32 – 34 kg) while females weigh 55 – 65 pounds (25 – 30 kg). They are on the bigger side, however, that means lots of more dog to play with and love on! One look at these dogs and you might think they’d be excellent guard dogs. And you’d be right! Their loyalness, reliable nature, and never-ending courage make them fantastic in the face of danger. Victorian Bulldogs have a very gentle temperament despite tough appearances. Because of their high levels of affections, kids and this breed get along fantastically. They are easy-going, love attention, and great for families of all kinds. If you care well for your Victorian Bulldog, you can expect 12-14 years of living with your furry family member. The good news is these dogs require much less maintenance than the English Bulldog. While regular exercise is needed, a small yard or even an apartment does just well with them. Go on daily walks after work, and they’ll be happy. Moderate climates are best for Victorian Bulldogs, as they are easily chilled and have a difficult time cooling down in hot weather. Make sure to socialize early to encourage getting along with younger kids and other animals. Take them to dog parks to visit with other pups or ask family members and friends who have kids to have a playdate with your dog. These dogs love to please their owners, so look forward to being able to have successful and positive training sessions. There’s a reason you see so many jumping on skateboards and riding around town. They’re intelligent and ready to take on any challenge. With short and smooth coats, expect only an average amount of shedding. It makes grooming much easier! Comb and brush with a firm bristle brush a couple times a week so you won’t spend all your time vacuuming up after your dog. Bathe only when necessary to avoid damaging oils and skin. Wipe face with a damp cloth every day to clean inside the wrinkles to prevent skin infection. Aim to brush teeth every day. This will fight against plaque buildup, bad breath, and gum disease. Like with humans! Check ears weekly for no swelling, order, or large wax build up. If you find this, it might mean an ear infection. They tend to drool a lot, so prepare to clean up after them. But it’s one of the things that make bulldogs so great! Eye problems. Watch out for any loss of vision, especially as they get older. Obesity. These dogs love to eat, so it’s easy for them to go overboard. Aim to feed your pup 2 to 3 cups of dry food a day and split those into two meals. Hip dysplasia. This happens when the hip falls out of line with the socket. It can lead to lameness, so watch out for limping. Skin problems. If you follow our steps above for grooming, you’ll keep ahead of any skin problems. Since these dogs are rare, they’re on the pricey side. Victorian Bulldog puppies start at $1800 but can go a lot higher. A part of the reason the price is so high is that responsible breeders take care in working with these animals. This is all so the breed doesn’t run into the same problems that plagued the English Bulldog. Others are trying to jump on the bandwagon of the success of the Victorian Bulldog without taking care of their dogs. You’ll need to select from a good breeder when buying your pup. Ways to ensure you do so are to speak with them about references, health history, and pedigrees. Visit the house before selecting to ensure their dogs are treated with love and respect. Consider adding to your family a Victorian Bulldog. 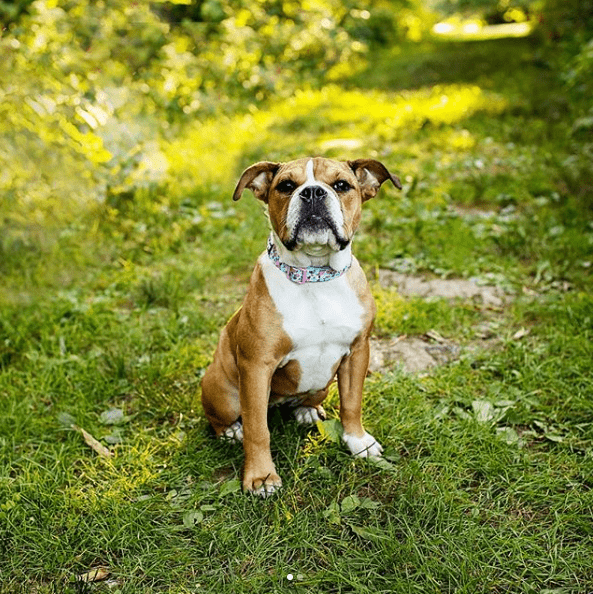 You’ll get everything you normally get with an English Bulldog, but you won’t have to go through the heartbreak of multiple health issues and watching your pup suffer. 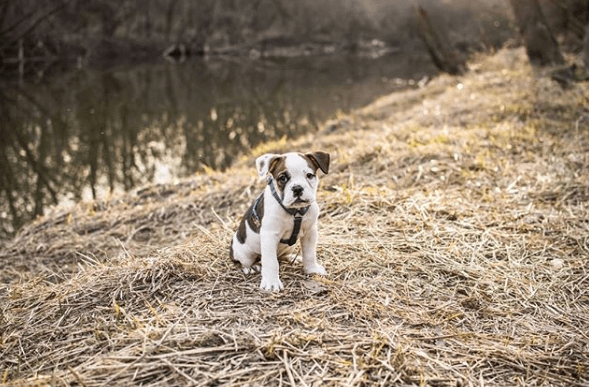 If this breed isn’t the right option for you, consider maybe other bulldog types such as the Toy Bulldog which is also a healthier version of English Bulldog. Do you think these dogs would be right for your family? Let us know in the comments down below.